We manipulate bacteria to produce all kinds of exquisite flavours and fragrances. Does that make them natural, or synthetic? And why bother, when they already grow on trees? 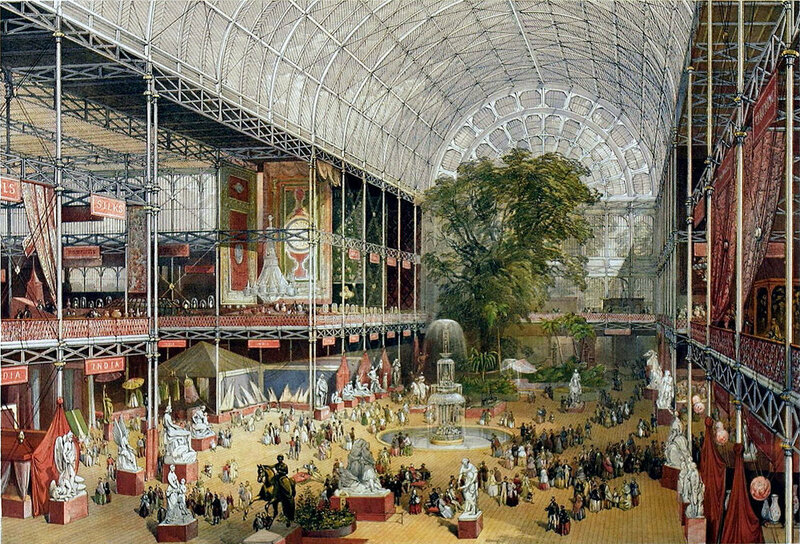 During the Summer of 1851, people from around the world gathered at the Crystal Palace in London to visit the Great Exhibition. In a purpose-built glass exhibition hall, visitors could view the wonders wrought by the industrial revolution. Icons of England’s modern progress such as a steam hammer, and a printing press, could be viewed in the same ten-mile stretch as repeating rifles from America, towering urns and vases from Russia, and a whimsical arrangement of stuffed kittens having a tea party from the German states. Elegant tapestries from France were displayed alongside the machinery used to make them. Crowds gathered around the Koh-i-Noor (“Mountain of Light”) – a diamond from India the size of a hen’s egg – hoping to glimpse its elusive sparkle. Nestled amongst these marvels there was a perfumery, where some of the first synthetic fruit flavours were revealed to the public. Visitors were invited to sample lozenges that resembled pear, apple and pineapple. Until this point such candies had only been flavoured with fruits of the Earth — eating something whose flavour was concocted in a chemical laboratory was certainly something of a novelty. These early imitations grew out of simple observations by organic chemists that some molecules, mostly esters, had distinctive fruity smells, and that often the main smell of a fruit came from one or more of these ester molecules. They soon got to work learning out to make these esters in the laboratory, and by 1864 had used these to devise artificial essences of nearly every fruit. Print depicting the transept of the Crystal Palace during the Great Exhibition, 1851, at which the first recorded imitation fruit flavours were presented. J. McNeven/Wikimedia Commons (public domain). Missing from the synthetic cornucopia displayed at the Great Exhibition was a flavour which would soon go on to become one of the most imitated flavours in the world: vanilla. Playing the role of subtle sidekick to sugar – the hero of our tastebuds – vanilla provides a flavour that is inoffensive in the extreme. Never overpowering its bolder partners such as fruits, chocolate or spices, it is tame, sweet and innocent. Vanillla rose in prominence as a luxury in Europe after French colonialists figured out how to cultivate the vanilla orchid outside of its native environment in Mexico, with a little help from a slave. By 1858, scientists had identified the molecule responsible for the dominant flavour in vanilla bean extract and dubbed it vanillin. Rather than the simple combinations of esters that were displayed at the Great Exhibition, vanillin was the first flavour molecule to be extracted from a natural ingredient, forever changing the taste of desserts and the way we view flavourings. Seventeen years later, German scientists Ferdinand Tiemann and Wilhelm Haarmann opened a factory making vanillin from pine tree bark, marking the birth of the synthetic flavour industry. By the turn of the century vanillin had become a cheap and accessible commodity. Today we don't give it quite such credence as the once rare and exotic indulgence has become synonymous with the bland and the basic. Synthetic vanillin does a great job at replacing the natural bean extract, as most of the flavour molecules present in the bean are quite fragile and destroyed by high temperatures. Today, 99% of vanilla flavouring consumed is synthetic, and 85% of that is synthesised from the petrochemical precursor molecule guaiacol. Thus, like so many products of the industrial revolution, imitation vanillin relies on unsustainable coal and oil mining, and is part of the industry threatening the future of our planet. Yet, demand for natural vanilla remains high due to its superior flavour in uncooked foods such as beverages, yoghurt and ice cream, and negative consumer perception of artificial flavours. The natural product is one of the world’s most expensive spices, second only to saffron. Growing vanilla is an extremely labour-intensive process, and timing is crucial. Each bean develops from a hand-pollinated orchid flower which only opens for a single day before wilting. Nine months later the vanilla bean babies must be hand-picked at optimal ripeness. Most of the emergent beans are abandoned due to imperfections which affect the flavour. The chosen ones are carefully nursed in a complicated curing process for another 4-5 months. As you can see, it's a long process, and the time it takes to raise vanilla beans to maturity means a single extreme weather event can ruin a year’s harvest. Last year, prices soared 300% to a record high when Cyclone Enawo hit Madagascar (one of the few places with low enough wages to make the painstaking process of hand pollination justifiable, if troubling). By weight, vanilla now costs the same as silver. Vanillin molecular structure shown next to a vanilla orchid. Adapted from Everglades National Park/Wikimedia Commons (public domain). Because the commodity price is so high, some avaricious chemists have gone to incredible lengths to pass their synthetic vanillin off as “natural”. To do so is no mean feat — they literally tinker with the nucleus of carbon atoms within vanillin. Most carbon atoms have six protons and seven neutrons in the nucleus, but approximately 1% have six protons and six neutrons. The exact ratio of the number of carbon atoms in a vanillin molecule that have six neutrons and those that have seven acts as a fingerprint which is unique to the region in which natural vanilla beans are grown. This is distinct from the ratio found in synthetic vanilla, and so vanillin manufacturers intentionally tweak the ratios of their product to mimic those found in nature, to fool tests for authenticity. To counteract this, there are people working as vanilla detectives to uncover vanilla fraud. With natural-grown vanilla so fraught with labour and weather-related issues, and imitation vanilla made from fossil fuel castoffs, is there another option? The third option for obtaining vanillin is to let single-celled organisms do the chemical synthesis for you. With the correct DNA sequences, bacteria and yeast can produce the enzymes necessary to arrange carbohydrates into any molecule occurring in nature. We already use these microbial friends to make a number of flavours or difficult to source foods. We do this by engineering organisms to produce a desired product by editing their DNA sequences, in a process known as synthetic biology or “synbio”. While the practise might seem like something out of a sci-fi film, it's been used for almost 30 years in the food sector. Since 1991, most of the rennet (the enzymes used to make cheese) comes from yeast or bacteria modified to produce the precise set of required enzymes, rather than the traditional source extracted from a cow’s stomach. 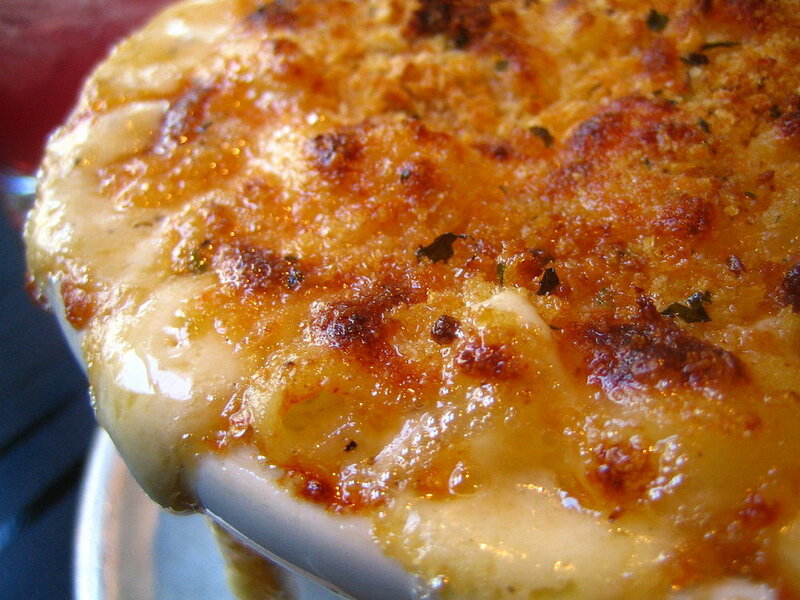 This has the added benefit of making the yeast-sourced rennet vegetarian. Recent advances in the technology to read and edit DNA sequences have been harnessed by several startups and researchers. Swiss company Evolva produces vanillin from sugar using synbio yeast, providing an alternative which does not require petrochemical precursors, and skips the whole process of growing the vanilla orchid entirely. Plant flavour without the plants? Many other food additives, and the hundreds of aroma molecules listed ambiguously in the ingredients of soaps, candles and toilet cleaners as “fragrance”, are also derived from petrochemicals, while the natural alternative is difficult and wasteful to produce. Most fragrance molecules are isoprenoids (also known as terpenoids) — a group of molecules produced by plants which form many of the scents and flavours we are familiar with. These include: nootkatone (grapefruit), valencene (oranges), limonene (lemon), farnesene (green apple), menthol (mint), patchoulol (patchouli), and santalol (sandalwood). Isoprene — the common precursor to these molecules— is mainly derived from petroleum, and chemical synthesis of these smelly molecules with decent enough yield and purity has proven difficult. Meanwhile, producing 1kg of valencene in the traditional manner takes 2.5 million kgs of oranges. This amounts to the annual yield from 10,000 orange trees, most of which ends up in perfumes that either evaporate or are washed down the drain! Plants can make isoprene (top left) into a huge variety of pleasantly-scented compounds including limonene (top right), menthol (middle), and farnesene (bottom). Produced by the author using images by Abhijit Tembhekar/Wikimedia Commons (CC-BY-2.0), Darya Pino/Flickr (CC-BY-2.0) and Pixabay (CC0). Over the past few years, Dr Vickers has worked with a large synbio company, Amyris, to create a jet fuel made from limonene and farnesene produced by fermentation. They were unable to obtain economically viable yields to use it as a jet fuel, so now they market the chemicals as flavours and fragrances. Because so many different molecules can be derived from a single biological pathway, isoprenoid biosynthesis has been harnessed by several companies. In addition to vanilla, Evolva markets nootkatone and valencene produced by synbio yeast fermentation. Isobionics, a Dutch-based company, also makes nootkatone and valencene, but with synbio bacteria rather than yeast. Researchers at the University of California, Berkeley have even used synbio to brew beer without hops. Growing the hops for one pint of beer can require up to 50 pints of water — way more than enough to quench our thirst! The researchers placed the genes for the enzymes that make hop aromatics into brewer’s yeast, so that the microorganism can flavour beer while fermenting it, without the need for hops. Even if we can make anything we want with synbio, is it actually a sustainable industry? 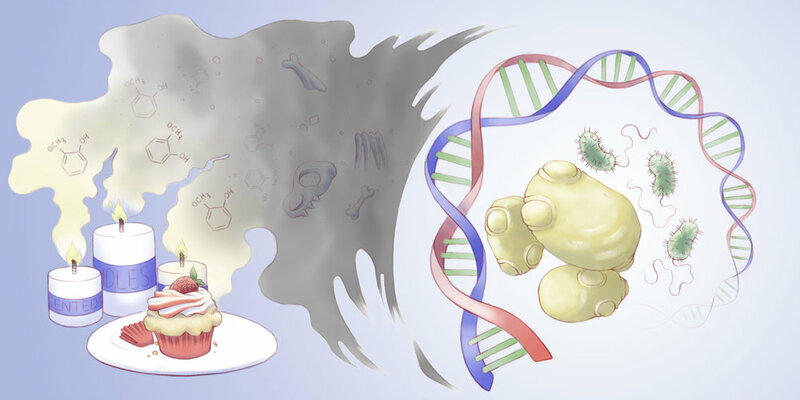 Most synbio microorganisms are fed with sugar, and that sugar has to come from somewhere. If fermentation is to truly be considered a superior option to just extracting compounds from plants, growing the sugar source must use significantly less land, water and resources. Sugarcane and sugar beets are the world’s main sources of sugar and when compared to other crops they have some of the highest yields of carbohydrates per hectare. The fibrous material left behind after the sucrose is extracted from sugarcane is used to generate the energy required for extraction, while molasses — another by-product of sugar production — is used in animal feed. The relative efficiency of sugar production makes it a favourite not just as a feedstock for flavours and fragrances, but for biofuels and bioplastics, with biotech company Novozymes CEO Steen Riisgaard claiming in 2008 that “in a few years sugar will be the new oil”. "Yeah, it’s sustainable,” says Dr Vickers of sugarcane, “but you always run into the issues of agriculture in general”. Farming of these crops has many of the environmental impacts common to modern agriculture, including soil degradation, water consumption and runoff leading to habitat destruction. According to WWF, historically “the production of sugarcane has probably caused a greater loss of biodiversity on the planet that any other single crop” due to conversion of forested land into plantations. Engineering self-feeding or photosynthesising microbes to produce desired chemicals using CO2 remains the most attractive concept land-use wise. Dr Vickers’ group at the University of Queensland is currently trying to use cyanobacteria — which can photosynthesise — to make different isoprenoids. But the process is not so simple. The pathways are complex and behave differently in different microorganisms.Just as the same screwdriver doesn’t work for everything, manipulating the DNA in different microorganisms requires different “tools”. These, according to Dr. Vickers, are “nowhere near as well characterised or as developed in cyanobacteria as they are in yeast and e-coli”. 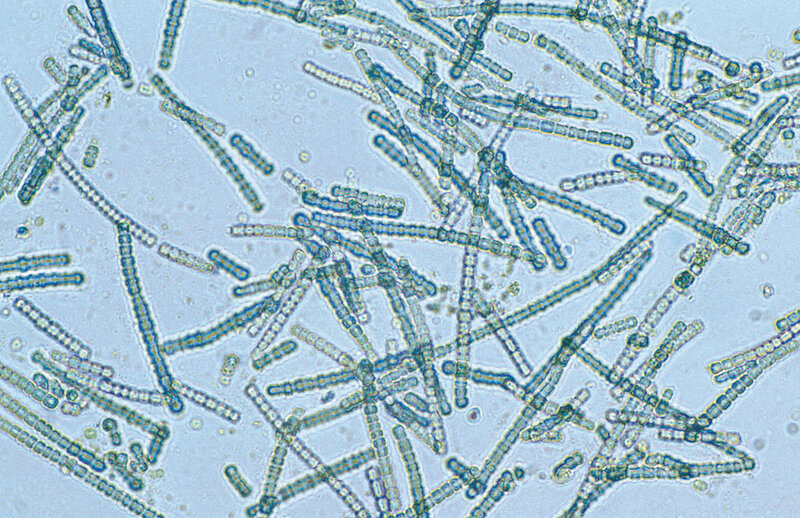 A species of cyanobacteria viewed under a light microscope - Could we use these microbes to harness photosynthesis directly for the synthesis of high-value molecules? Willem van Aken, CSIRO/Wikimedia Commons (CC-BY-3.0). One day, could we purchase engineered yeast and bacteria and brew our own custom flavours and scents the way an enthusiast might make home brew drinks today? Dr Vickers is optimistic. “Yeah absolutely,” she says, “but there’s a process”. The process she's referring to is a regulatory one. Getting a genetically modified organism approved for release must be justified by consumer demand, and is extremely costly. Current rules allow the things made by synbio yeasts and bacteria in food products, but each one needs its own application. Selling the genetically modified organism itself would be a whole different ballpark. Whether we see more synbio molecules in our foods and cosmetics will ultimately be decided by public opinion. At this point it's unclear whether products like synbio vanilla flavour should be considered “natural” or “imitation”. Currently in some jurisdictions they can be called “natural”, because they are made by a living organism, and also “GMO free” because the modified organism is not present in the ingredient it makes. This hasn’t stopped rejection of the technology. In response to a campaign against synbio vanillin, icecream giant Häagen Dazs stated it will only use vanillin from the vanilla orchid, and with multinationals like Nestlé switching to “all natural” ingredients, the stakes are high. When contacted for comment on this article, CEO of Isobionics responded with only the words “Isobionics does not imitate”. In reality, to produce synbio flavour and fragrances, an unnatural host is engineered to imitate a naturally occurring synthetic pathway. But is imitation such a bad thing if it means we can make a molecule more sustainably than nature does? At CSIRO, Dr. Vickers helps run a social science program, considering public attitudes. For her, it is important “that we make a difference to society, that we make the world a better place”. She makes it clear that society has a say in this: “If our social science program tells us that there is no way that we can effectively get impact from the science that we’re working on, we would change the science”.